Throughout SMART’s 25th Silver Anniversary year, culminating in our Annual Conference September 20 – 22 in Chicago, we will honor volunteers representing many types of individual service. Lorie H. has been instrumental in sharing the SMART Recovery 4-Point Program® with groups of addiction treatment professionals across the country through live training sessions. That energetic and entertaining host was Lorie H. (aka “Hammer” in SROL) – an individual who has held many roles with SMART Recovery over the last 14 years. 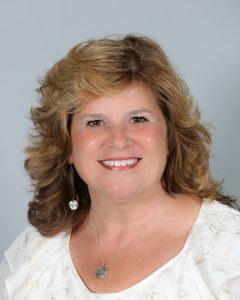 Recently retired from 32 years of public school teaching, she has taken to communicating the 4-Point Program® and tools with energy and clarity across the country with live training sessions for groups of addiction treatment professionals. Over 15 years ago, she championed the development of the first facilitator distance-training program using internet chat rooms as classrooms, a relatively new idea at the time. Now, as one of our lead trainers on our On-Site Training team, she has been able to travel and bring that communication to wide audiences. As part of this effort, Lorie was instrumental in developing our InsideOut curriculum, which is taught as one of our On-Site Training options. In addition to her great contributions in volunteering and training, she has served on the SMART Board of Directors, for many years as an officer (Secretary). Where Hammer will take SMART Recovery next is wide open. Some hints might be available in some of her other titles, such Solar System Ambassador for the Jet Propulsion Laboratory, Space Camp Ambassador and Space Educators Exploration Crew. Thanks so much for your commitment, contributions and laughs, Hammer! We are so lucky to have individuals like you on our team! SMART is a volunteer organization of individuals who are passionate about helping others. Through mutual support meetings, our volunteers provide a non-judgmental, supportive environment where participants learn skills for lasting change. We set aside the month of April to honor all of our volunteers for their steadfast efforts to help so many and to encourage others to volunteer as well. Learn how you can be a part of the solution to the epidemic of addiction. The heart of SMART’s 25th Silver Anniversary celebration in 2019 is the story of an extraordinary community of volunteers who have built a worldwideorganization devoted to supporting individuals recovering from addiction and their family members and friends. These volunteers include addiction scientists and treatment professionals who designed a self-empowering 4-Point Program® and joined people with the experience of recovery and trained them to lead mutual support group meetings. Together they have created and refined a peer-professional mutual-support group model that combines the best science for treating addiction with the lived experience of recovering from addiction – the world’s largest and only community of this kind with more than 3,000 group meetings in 23 countries. Each year, participants in these groups help each other recover at more than 150,000 meetings, in-person and online, led by volunteers trained how to use the SMART program. Click here to nominate a deserving individual. Click here to learn more about the program and to see all who have been recognized. Thank you for all you do, and have done.